Creativity is a constant flow of energy that takes form. Which serves as inspiration. Which takes form. Which serves as inspiration yet again. It’s an infinite, powerful, beautiful cycle. We believe Art Imitates Life. And life imitates art in return. 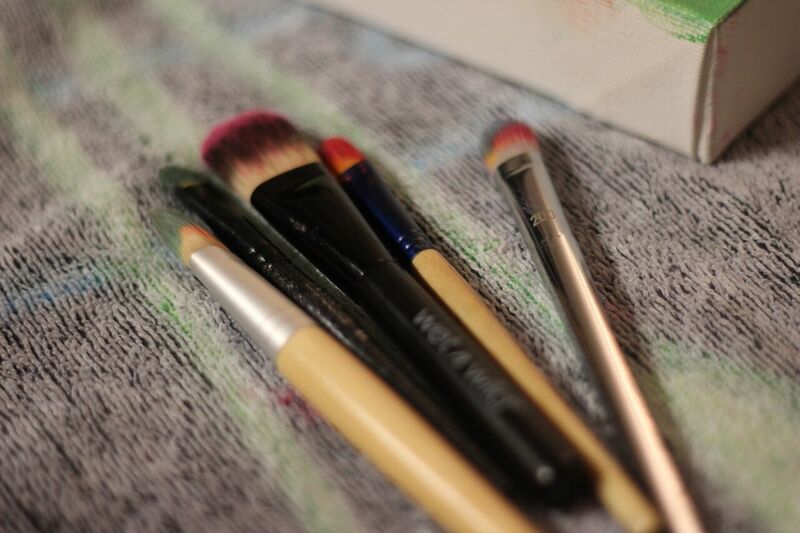 And for this post, we have some fun at the crossroads of fashion, beauty, and art. 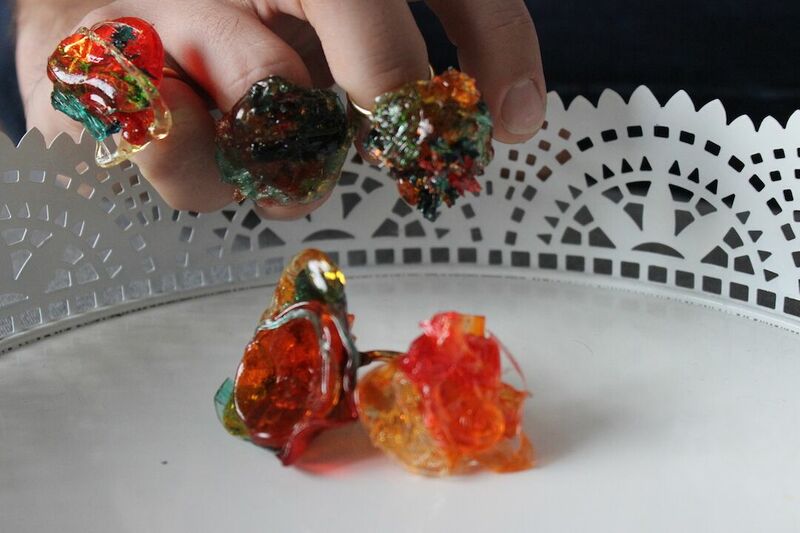 We found original inspiration through an unusual artistic form: edibles. Because what’s more D*LISH than if you sprinkle some real flava to the mix?! Sweet like candy… wait — it *is* in fact candy! Breanne is a girl who’s got a sweet tooth for fashion and design. And a passion for creating and decorating edibles. Made-to-order, by flavor and style, By Breanne serves up custom cakes, cookies and pastries, and even candy jewelry! 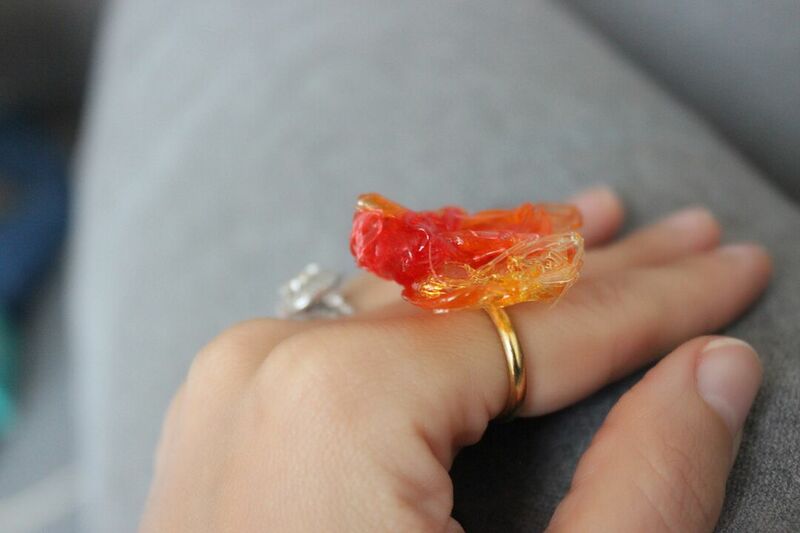 Upon first setting our sights on her wearable sweets, we knew we had to collaborate! Starting with beauty, LC and I chose a variety of makeup products. 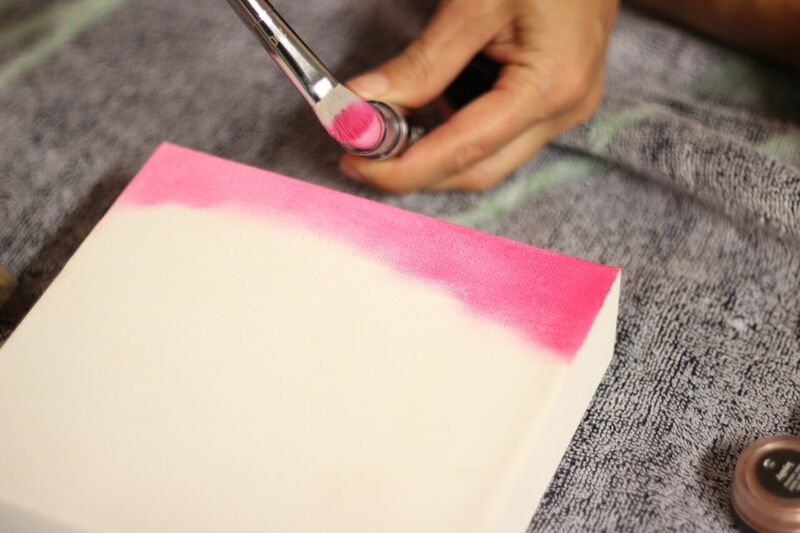 Our inspiration: color and texture. 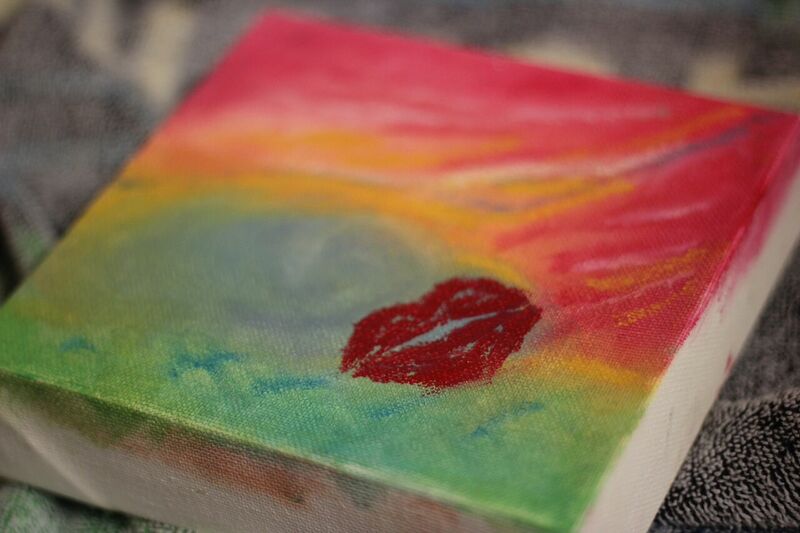 Experimenting with powders and pencils, lipstick and brushes, we went straight to canvas and created art together. 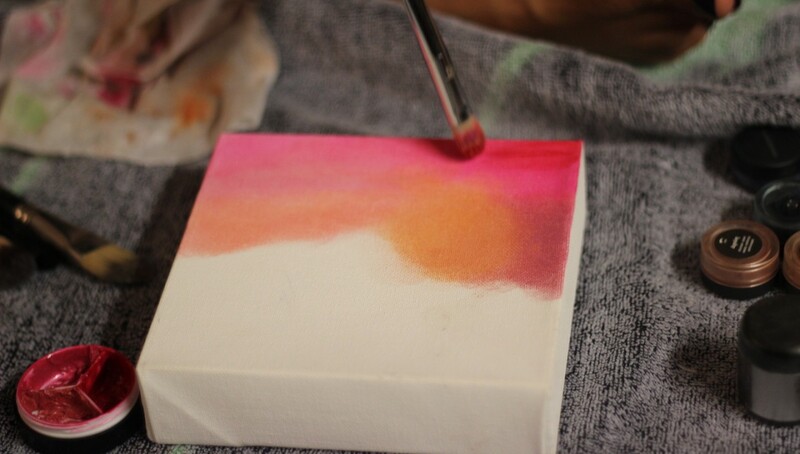 Using different blending techniques of his (Paul Christopher) and her (Lauren Cosenza) artistry. 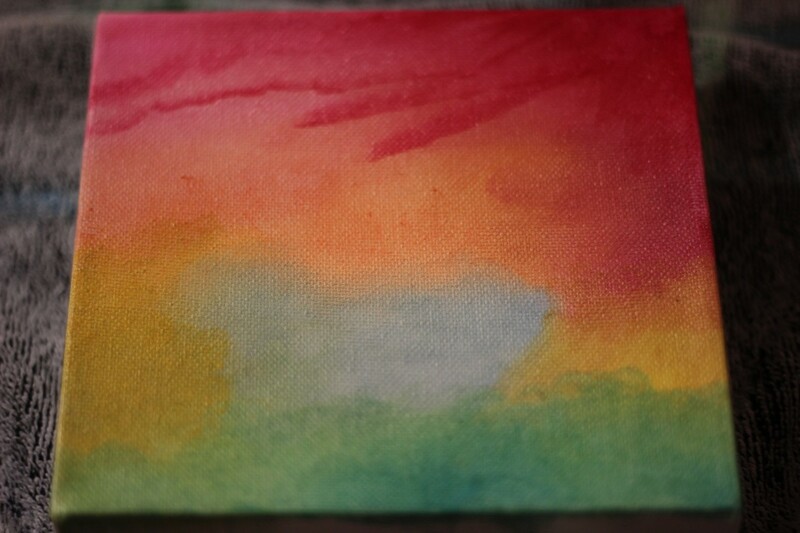 Presenting our final masterpiece, titled: BEAUTY in Paradise. We then shared our process and the final images with Breanne, who pulled her own inspiration from it. 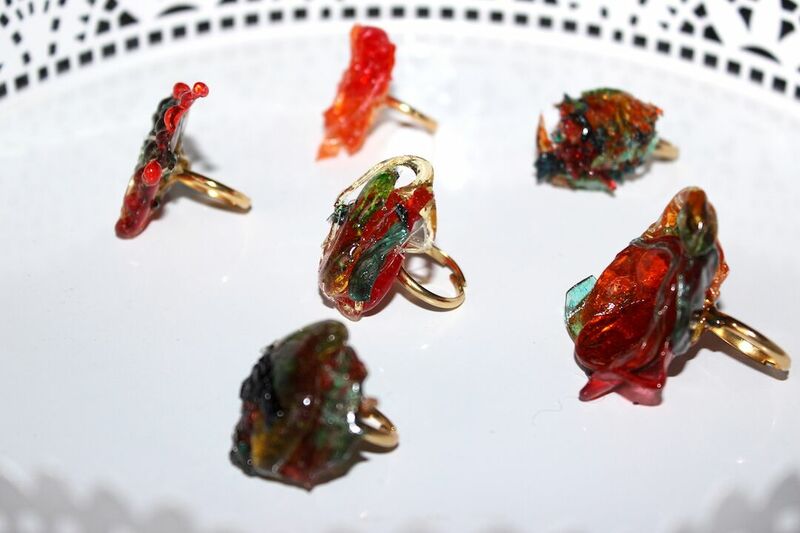 To create rock candy rings…that really rock!!! Upon receiving the rings, LC and I discussed fashion and photography and location. 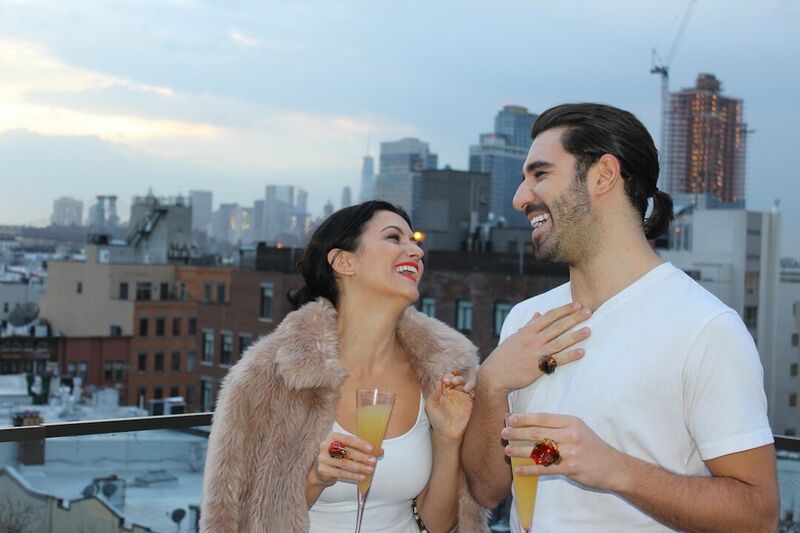 And what’s more chic and industrial than a rooftop with the NYC skyline in the background?! The By Breanne rings are so fun and unique! 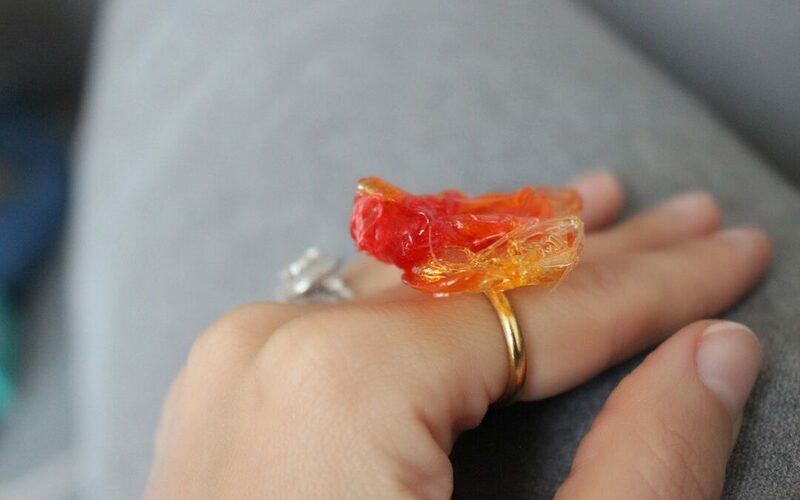 PERF for a Sweet 16, Bar (or Bat) Mitzvah, birthday, bachelor or bachelorette party, or maybe just because you have a craving for some new bling (and this one won’t break the bank — orders start at 1 ring/$10 or 3 rings/$25)! Nothing like a blend of creative visionaries! A makeup artist. A mixed media artist. A pastry chef. To keep that creative loop alive.